These eq plugins do a very musical job. Just a little sweetening is all it sometimes takes and these do it most nicely. They can also make some very agressive mods. I like the 560 a lot on guitar. Just a little extra high end a bit out of the middle and suddenly its the sound I hear in my head (which has obviously been trained by years of music shaped by API eq's). Well worth the money. As an owner of the Waves API bundle I had to think more than twice before buying the same emulation again. These plugins absolutely shine on drums, my personal favourite is the 560 for kick and snare and 550 for drumbus and bass. Especially the tight and fat lo-end impressed me, there is a certain tone that no other EQ i own ( and that's quite a lot !) has. The question if it sounds 100% like the original is not so important to me, but I have worked with HW 550s and I own a HW 2500 comp, so I can confirm that these plugins have the familiar API tone ! Great tools, great times for ITB processing ! nothing compares to it's sound! We compared our 550's & 560's in our API Lunchbox to the UAD plugins and found that UAD has delivered another flawless emulation of a classic. 5 stars!!! Couldn't really be more impressed with the 560 EQ - as others have mentioned, it's completely transformative. You can put sweet air back into anything, like a subtle little swiss army knife; but you can also do big broadsword cuts and boosts - and it just plain sounds good doing it. A major usability tip I've not seen mentioned is the benefit of using a mouse with a hardware scroll wheel with the API plugins. You can HOVER the mouse over the dial and just click-roll the mousewheel to adjust the setting. Super easy and tactile to use. But yeah, it kills me; I have a track I'm working on with 560 on the master bus, and though all good sense and reason says take it off to mix, I just can't. Without: dull. With: sweet, polished, done. These just kill. I demoed every eq in the UAD line and these were my favorite by far. The fact that you get two different eq's is also a big plus. It's hard to describe how exactly these compare to the other UAD eq's, but they are just fantastic. And compared to my vst's there is just no contest. So glad I have these. I've used the hardware many times. It's hard to tell the difference and with the ability to recall settings on the plugin, I find myself going to it more than the hardware. These are the best plugin EQ's I've used by far. This EQ is so good I don't touch anything else anymore. From top to bottom this thing works wonders. I might as well trim my plugin folder to just API EQ and a few other UA Plugins. This plugin version of the API's are simply just great! I have a good list of plugins that i've used through the years of mixing and producing but this just sounds right. Why use or buy an EQ or compressor if it doesn't sound better on the source than what a "natural" compressor all ready does(? 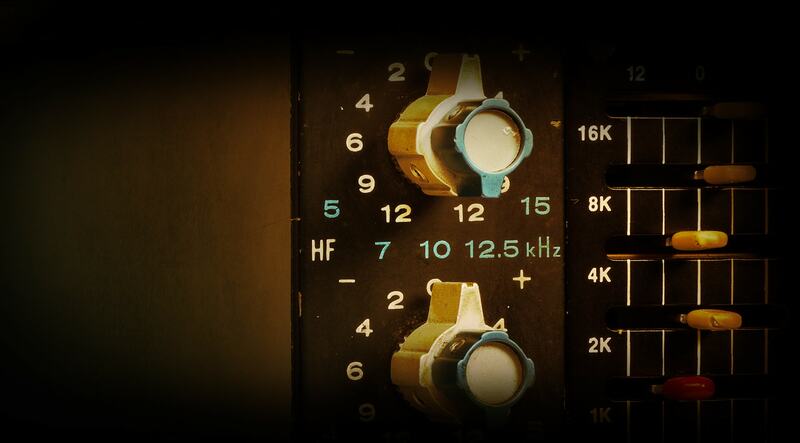 ), or more correct they effect of what EQ and compression does. The UAD API 560 does something musical and want-able on drums (and other stuff), has an amazing way of adding what I want in 90% of the case by just adding it to the CS, or sometimes take the parameters to the extreme, dosen't matter... cause it keep on sounding good... just like good hardware EQ's usally does. REALLY good work you guys at Universal Audio!!! I could go on forever about how awesome these plugins are. The 550A is nothing short of perfection on bass. The 560 is equally impressive on just about everything else. Sometimes, if the EQ of the 560 doesn't benefit the channel, I bypass the EQ and leave the plugin on pass-through just for the added magic of the API modeling. These are two of the finest sounding emulations ever made. They truly sound like hardware. God knows I could never afford the quantity of these I have in any given session now. If you are hesitating to buy these, stop hesitating. Therie is nothing but "pure magic" to say. One of the very best UAD plugs. Thank you all in UAD. Just remixed a tune with new plugins and wanted a simple Graphic EQ. Demoed the API and it immediately did exactly what I wanted and sounds great. 300.00 seems a bit steep compared to what I paid for the Manley, Studer and Ampex but as soon as UA does another discount offer I'm grabbing it. I have been patiently waiting for UA and Api to get this plugin to market since they first announced a partnership, and it was worth the wait. This eq has such a tight punchy Q great for drums, guitars, bass, and vocals you name it. This will add tons of character to your recordings. Lets see now if UA can get a 550B, 2500, or 527 compressor plugin into my DAW. Put it in the cart. Thanks UA and Api. Tried the 560 on a badly recorded guitar track and it was just what I've been looking for. I had a ridiculous EQ chain to try and improve the sound, now I only have the 560 and it sounds so much better. Can't wait to try this on other material. Before having owned these two, I had been using the UAD Manley Massive Passive as my main go-to EQ. I used it for most all purposes, and I thought I was well off. In the past, I had demoed these a few times, but barely listen to them. Then I got an API 512c preamp, and I loved its sound. So, I gave these another try in shootouts against the Massive Passive. They both made me find the Massive Passive to oftentimes be downright muddy in the low end. The overall character of these — especially the 560 — is exactly as advertised: punchy and tight. Their top end has a specific sheen that takes a lot to get harsh. Heck, they'd be great for mastering, even. I run a small home studio, and this was the best upgrade I've gotten in a long time. Iv'e been using these puppies since UA dropped UA 6.5 on us...today!!! Now come on UA its time you got modelling some serious pr-amps for us all!!!!! Meanwhile if you like punch clarity and flavour - hand over your cash to UA they are doing a great job as usual!! API 560 IS AMAZING !!! It works on everything and can make dead horse come alive ! This will give the API 2500 OP feel all day long. The sound of rock n roll.